Views galore from this 3br, 1 1/2ba home on a secluded .97 acre homesite and just a short distance off county maintained roads for that feeling of privacy. 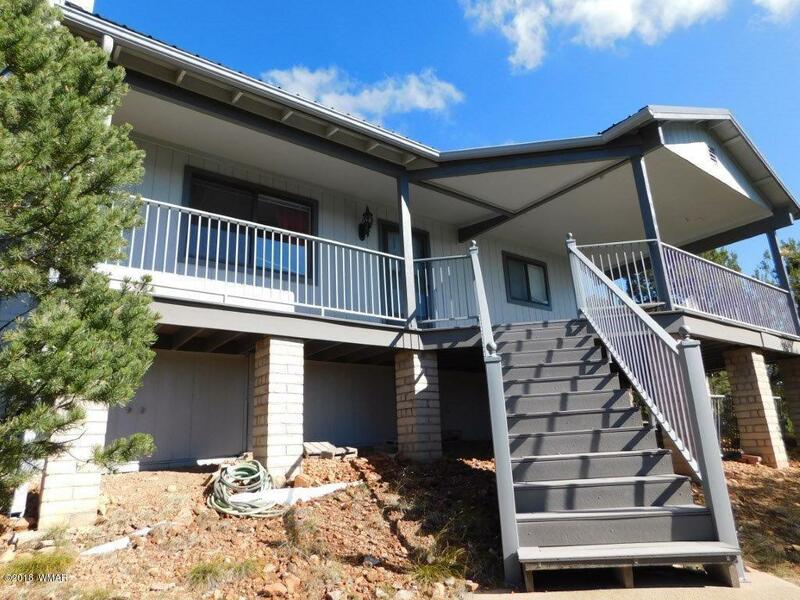 Freshly painted exterior with lower maintenance siding, metal roof, rain gutters and built in bench on patio area plus pavers for a walkway will make this a great home for outdoor entertaining. Inside offers a wood burning fireplace and electric ETS heat, a laundry room and balcony with see forever views. Great full time or weekend getaway and close to national forest for miles of hiking or riding.